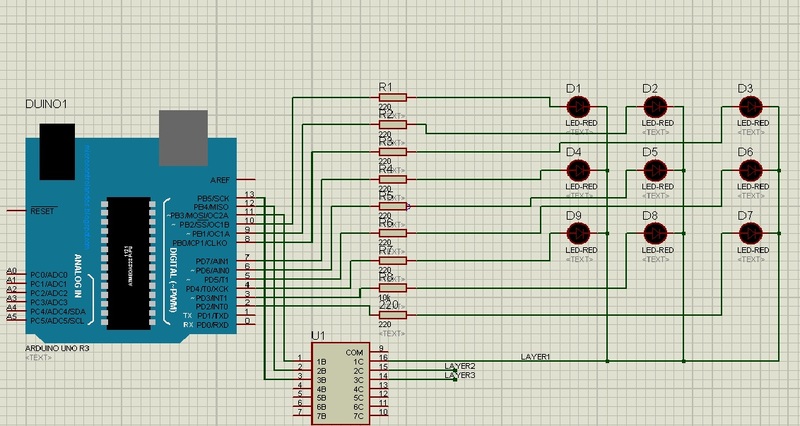 In this post, we are going to make 3d led cube using arduino. It's 3*3*3 led cube, so require a total of 27 leds. For driving 27 leds we require driver IC like ULN2003. In 3*3*3 led cube, basically there are three layers. In first layer, ground is common for 9 leds and same for layer 2 and layer 3. There are 9+3 output pins, 9 for anode and three for 3 layers. We are using ULN2003 IC, since arduino can't provide enough current to drive all the 27 led simultaneously. 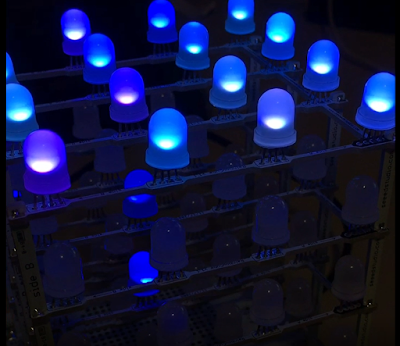 We’ve seen our fair share of LED light cubes before, but what makes this one different is its incredibly detailed, step-by-step tutorial. 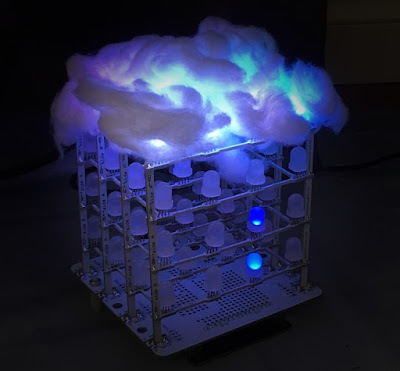 The creator of this light show previously made a one color LED light cube and shared the trials, tribulations and instructions. He has since decided to go multi-color, again while challenging himself and learning some new tricks along the way. The project requires 512, 10mm RGB LEDs and an Arduino compatible microcomputer. The creator used wooden strips to create vertical panels of LEDs rather than horizontal layers for ease of building. The building and soldering took about one weekend and the software took about 70 hours. The author saves you time by providing most of the code for you. Learn how to fbuild your own RGB LED cube!